Wandering Middle-earth’s winding paths is the travelling conjurer Gandalf, known by many names to many peoples in many lands, though few could guess the true extent of his powers or purpose. 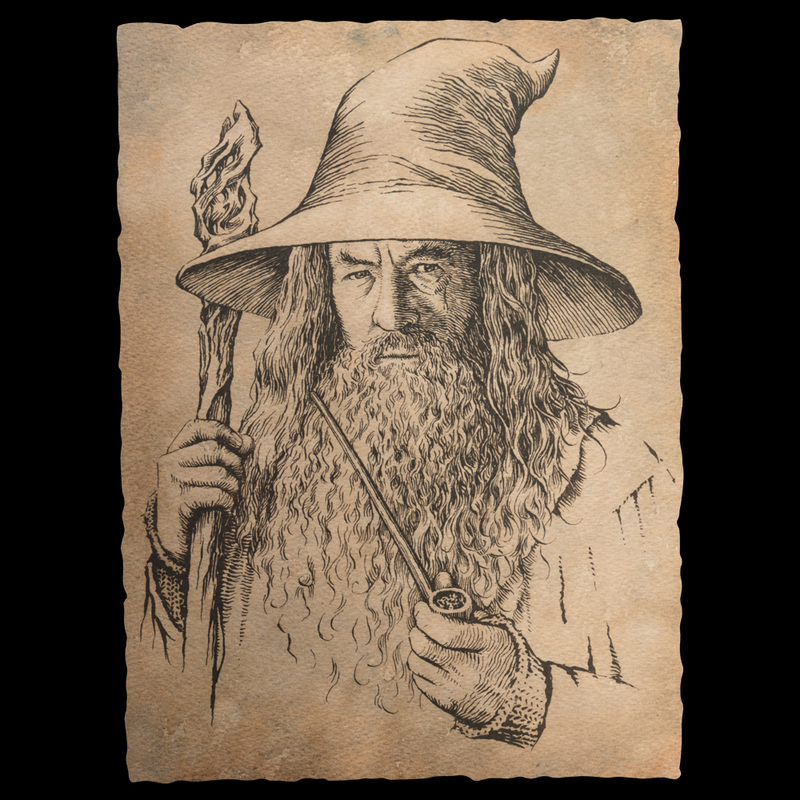 This painstakingly detailed print of Gandalf the Grey (in the likeness of Ian McKellen, who played Gandalf in the films) comes from the pen of the inimitable artist and calligrapher Daniel Reeve of the 3Foot7 Art Department. Daniel and the crew at 3Foot7 worked on both The Lord of the Rings and The Hobbit trilogies, and their artists and craftspeople are behind many of our beloved collector's items. 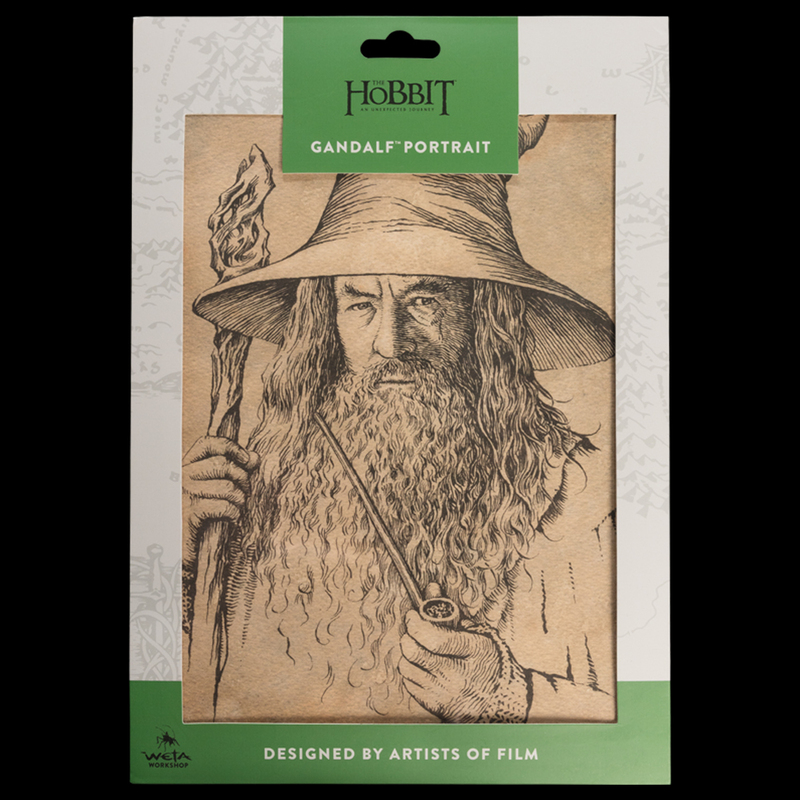 Portrait of Gandalf the Grey is reproduced on 140 gram art stock. 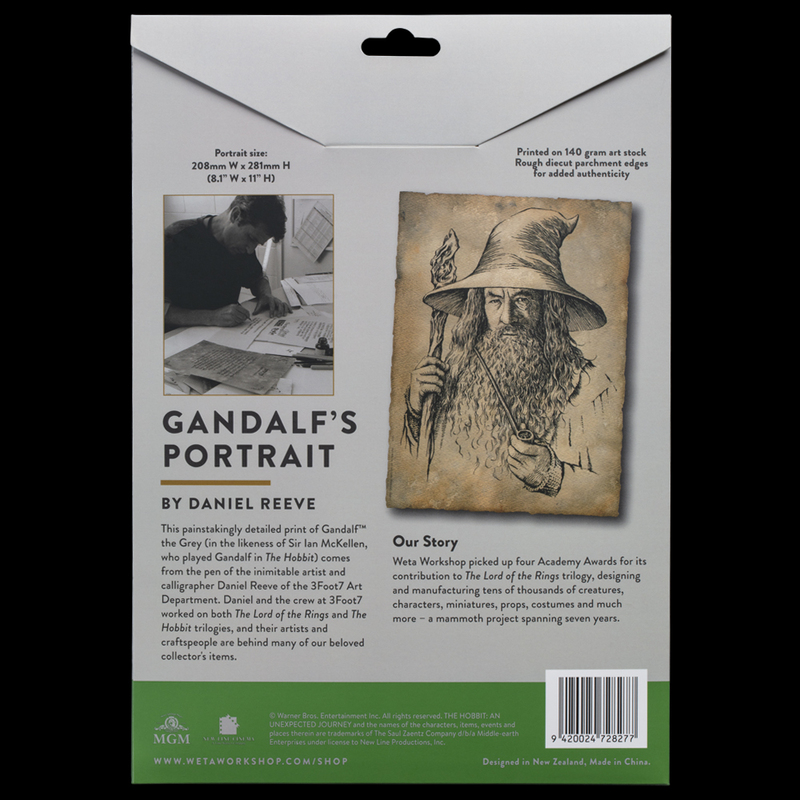 The edges are diecut, adding to the authenticity and making for a beautiful and considered pairing, alongside your Portrait of Bilbo Baggins. The art print comes flat with a sturdy piece of cardboard, individually packaged for further protection. It has logos and legal text on the reverse - none on the front.